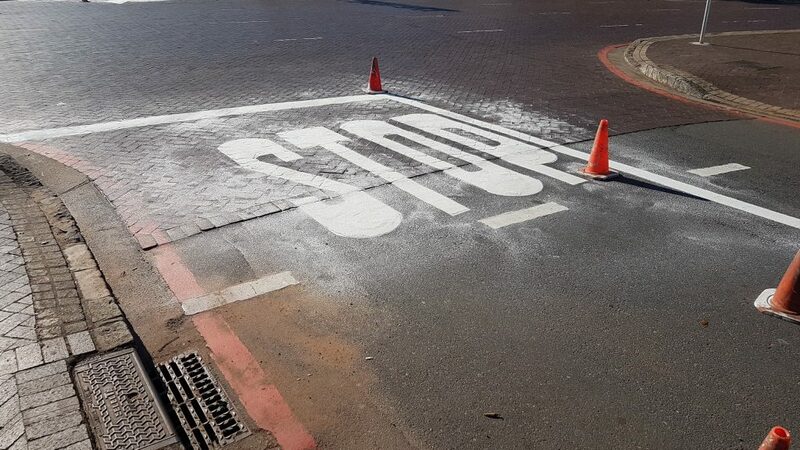 The eThekwini Municipality contractors have been on site using a new paint technique for the repainting of road markings at the intersections on Florida Rd. The paint is sprayed on and reflective sparkling dust is sprinkled over the wet paint. Apparently this is a much hardier option.